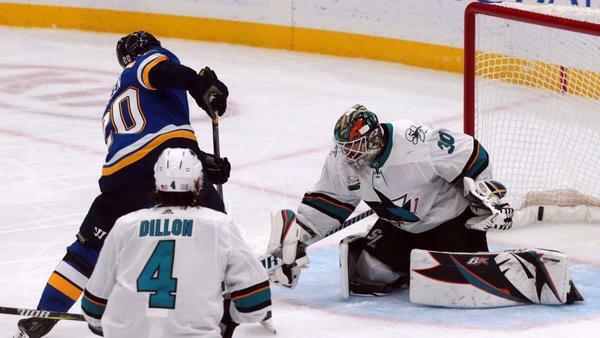 Bring your questions about the Blues and the NHL, and talk to Post-Dispatch hockey writer Tom Timmermann in a live chat starting at 1 p.m. Wednesday. Tank may not be scoring right now, but I love the way he is playing more physical hockey. With his talent the goals will come, he just needs to keep playing great all around hockey and making his line mates better. Tarasenko has eight hits in the past two games. Not sure if the one that got him a penalty against Winnipeg counts. Even though I sit here in Orlando depressed about my Blues (weather is good so that helps) I see this three game road trip as the key to turning the season around. Big win in Detroit, surprise win in Colorado, then a barn burner of a win in Arizona...its all about confidence in hockey. What say you? I'd say six points on this trip is optimistic. But the Blues are at a point that with their record, you look at every game and they're going to be an underdog. I think this team is really missing an identity, and heart. That left when we showed Reaves the door. He was the definition of hard work, energetic and a great example on how to make the game fun, all while doing your job. Plus, he scores more than Maroon. Why not try and get him back??? I think the Blues would have tried if Vegas had not given him a very sweet deal this offseason. Tom, your point about the small sample size in odd man rushes brings up a great point. One I think is missed quite often. I think that Army this past season was feeling the heat, and grabbed players that fit the cap (to show he was trying to better the team) rather than fitting the system that he and Yeo wanted. Yeo's style is certainly a dump, chase, grind, boring style of play, but the addition of Perron doesn't seem to fit that. Tarasenko and Fabbri neither. O'Reilly and Maroon, spot on, but if that was the case, then why not keep Reaves? I think if we are going to go and get a new coach at season's end, then we should scrap Army and get a coach and GM that can work together on sculpting this team TOGETHER. One would think the GM would hire a coach who would implement the players he's signing, or that they would work together, or that the coach adapt his system to the players. For all the knocks on Armstrong as a GM he has been able to get out from or not sign a lot of bad contracts. The last core of the team included Backes who as a single goal and 3 points, Brower of 7 points and on his second team after being relegated to healthy scratch and fourth line duty and of course Lethera. Having either of them on the team would be a Seabrook like drain. Even Buffalo paying for the Sobotka and Berglund contract seems like a positive as well. That being said, besides Jaybo who is in the last year of a long contract are there any Blues you see as being overpaid? Im sure you can’t offer names but outside of a goalie or 3rd line winger getting marginally more than their value, compared to other teams the $’s seem to fit the players. No, considering how NHL rosters work nowadays, the Blues don't have much in the way of overpaid players. The problem with Bouwmeester isn't so much how much they paid him, but the years they gave him. If his contract had been one year shorter, this wouldn't be a problem. Steen's health going forward will be an issue. He's got two more years at $5.75 million after this one and whether he can keep playing 70-plus games will be a factor. His style of play could take its toll. And, of course, there's Jake Allen, who's got two more years after this one at $4.3 million. If he solves December and January, it's a good deal. If he can't, it's a problem. Any chance Alex Pietrangelo gets dealt? Guessing we could get something significant in return and give more playing time to guys like Schmaltz. Also it would pave the way for a new captain. That kind of trade might make players take notice. Considering the ice time Schmaltz gets, I don't think the Blues see him as taking Pietrangelo's place. There are a lot of games where he barely plays in the third period. Seems to me he hasn't gained their confidence. That's one of the things with any talk of trading Pietrangelo. Replacing him is awfully hard. stltoday.comDuring the veteran forward's down time, the Blues went 2-4 and coach Mike Yeo was fired. It is concerning to me how many times I have read comments from players regarding "lack of effort" after losses. I don't really understand how that is a consistent issue. One game here or there where they drift a bit I can understand. No one is at their best every day. How can a team of competitive professionals frequently not try their hardest and then freely admit as much? It's probably only three or four times you've read it, but considering the number of games it seems like a lot. Why and how it happens, I have no idea. Let's play coach for a day: How would YOU set the lines now that one-fourth of the season is shot? This was one of the first questions asked and it fell to the bottom as others came in and I didn't get back to it, in part because I still haven't figured out who works best alongside O'Reilly and Tarasenko. Maroon, who started the season there, may have worked better than anyone, though Sanford is having some success there now. Fabbri-Schenn-Thomas seems to be working, though when Schwartz comes back, I'd want to put him there and move Thomas. So then you're looking at Perron-Bozak-Thomas, which drops Steen and now I'm all confused. You could have a fourth line with Steen, Sundqvist or Barbashev and Maroon or Sanford. When everyone is healthy, there are a lot of possibilities.